I was invited to give a presentation in a session at the Fall 2018 Geological Society of America session T60. 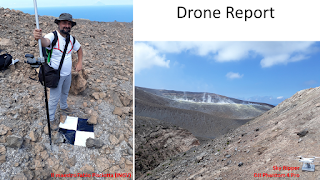 Revolutions in Remote Sensing: Applications of UAVs to Field Mapping and Surface Analytics (organized by Dylan Blumentritt--Winona State University and Toby Dogwiler--Missouri State University). I decided to make a my presentation a bit of a reflection of how my own obsession with low altitude imaging had evolved and how far we had come. After all, I started in college working in the Fairchild Aerial Photography Collection when it was at Whittier College. So, I came up with a talk with the hopefully entertaining title of FROM CRASHING KITES AND FRANKENMODELS TO EFFICIENT LARGE-SCALE UAV ACQUISITIONS AND BEAUTIFUL SHARED 3D MODELS. I am putting links to the talks on line in case they might be useful: PPT and PDF. 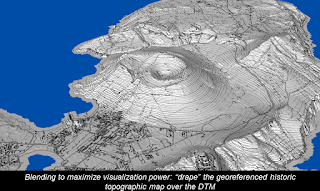 It shows a pretty 3D point cloud (video above) from our Photogrammetric model of the Tecolote Volcano, Sonora, Mexico hosted at https://opentopography.org/. It spends some time talking about and making the case for the OpenTopography Community Dataspace. As part of the OpenTopography Community Dataspace discussion, I (with slides and ideas from Chris Crosby) talked about standardizing metadata for these long tail data. See for example the different styles of metadata documents ("Survey Report"): for example Almaty range front fault, Koram site or Clear Creek, Idaho post-fire debris flow erosion--note the ones I uploaded are not great examples :). Arrowsmith, J R., DiMaggio, E. N., Garello, G. I., Villmoare, B. and LediGeraru Research Project (2018): Photogrammetric model of a portion of the LeeAdoyta Basin, Afar, Ethiopia (point cloud [122M points], orthophoto [2cm/pix], and DEM [25 cm/pix]). 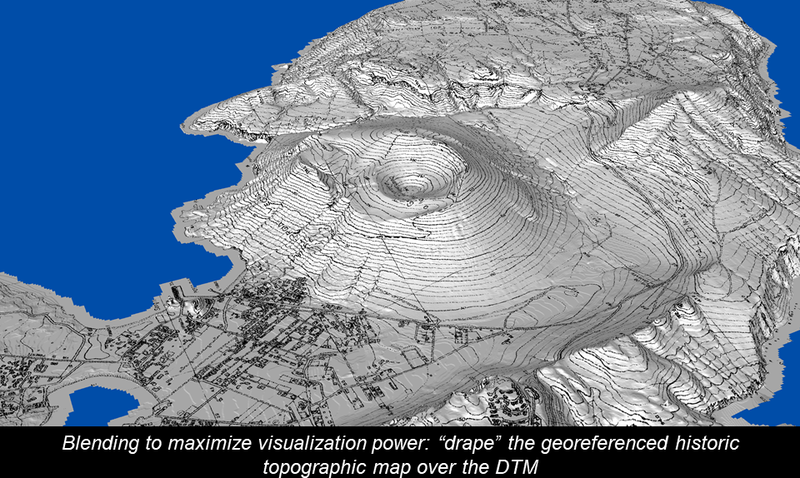 Distributed by OpenTopography. AccessedOctober 23, 2018. https://doi.org/10.5069/G95X271W. Today is the anniversary of the catastrophic great Tohoku Japan earthquake and tsunami of March 11, 2011. 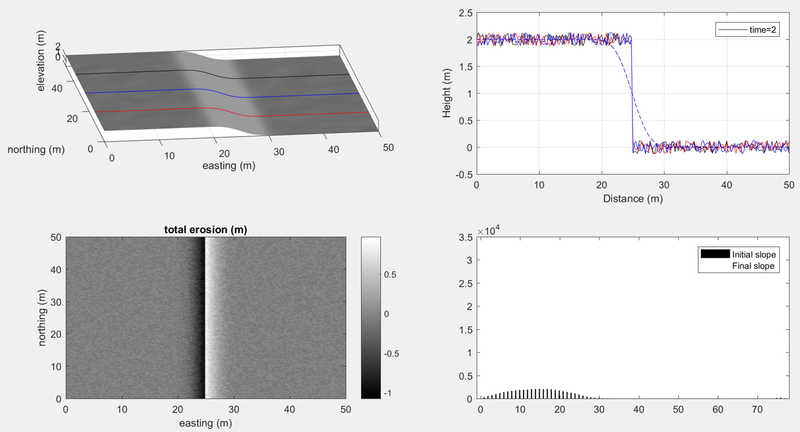 While I am not an expert of subduction systems nor tsunamigenesis, I was of course interested in the event and prepared some lectures about it. While there are many better and newer illustrations, I wanted to share the materials. The first presentation was at the Arizona Science Center in 2011. Here is the folder of the materials. 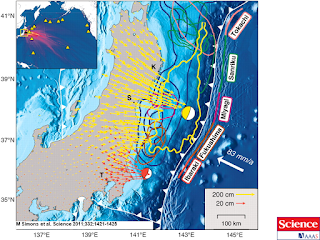 Subduction I--has the most on the 3-11 Japanese earthquake. 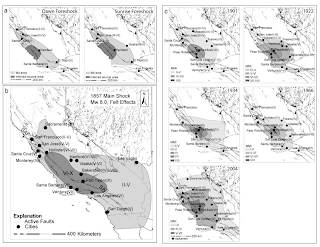 Subduction II--mostly about Sumatran research. This has youtube lecture recording. I was cleaning some files yesterday and I found an old exercise I had deployed when I was first teaching Introductory Geology. It was intended to help students understand earthquake intensity (vs.) magnitude. 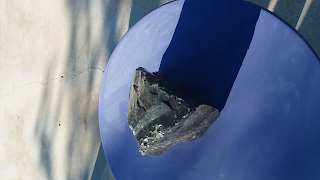 I took the felt intensities as reported by D. C. Agnew and K. Sieh (1978), A documentary study of the felt effects of the great California earthquake of 1857, Bull. Seismol. Soc. Amer., vol. 68, pp 1717-1729 and compiled some of the more easily interpreted ones into a table and then provided a simple map of California for the students to map the intensities. Here is a link to the compiled data from Agnew and Sieh. THe work of Kerry Sieh on the 1857 earthquake is seminal. I think it was an ok exercise, but there are probably more interesting and more recent datasets. For example, I like the twitter-based work that is coming from the USGS colleagues. It should be possible to take some sample tweets and do an intensity mapping. The 1857 earthquake and its foreshocks and aftershocks are fascinating an a sobering reminder of what will happen one day in California. This figure from Toké and Arrowsmith, 2006 shows the 1857 foreshocks and the mainshock distribution (the latter is what the exercise mentioned in the last paragraph is supposed to look like) and compares it with the historic Parkfield earthquakes. 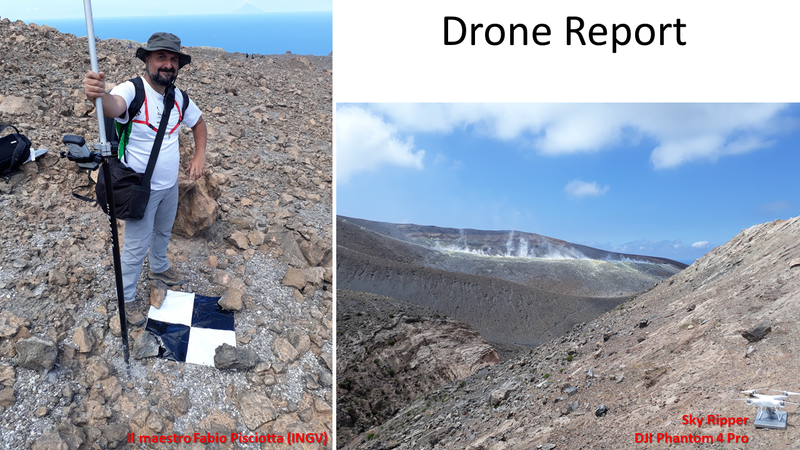 I am organizing for a presentation to my research group on fault scarp analysis. This is an ongoing obsession of mine. I have blogged about this topic here with some review. That is still a pretty good summary of things. I also have a couple of relevant Landers Earthquake posts here and here. And, we applied many of the relevant tools to analysis of cinder cone forms. The 2017 post mentioned above is still a pretty good summary of things. However, the MATLAB-based guis for Penck1D and Scarpdater are not running well now on newer versions of MATLAB; they need an overhaul. We were really into guis back then but they require so much code relative to the actual modeling. 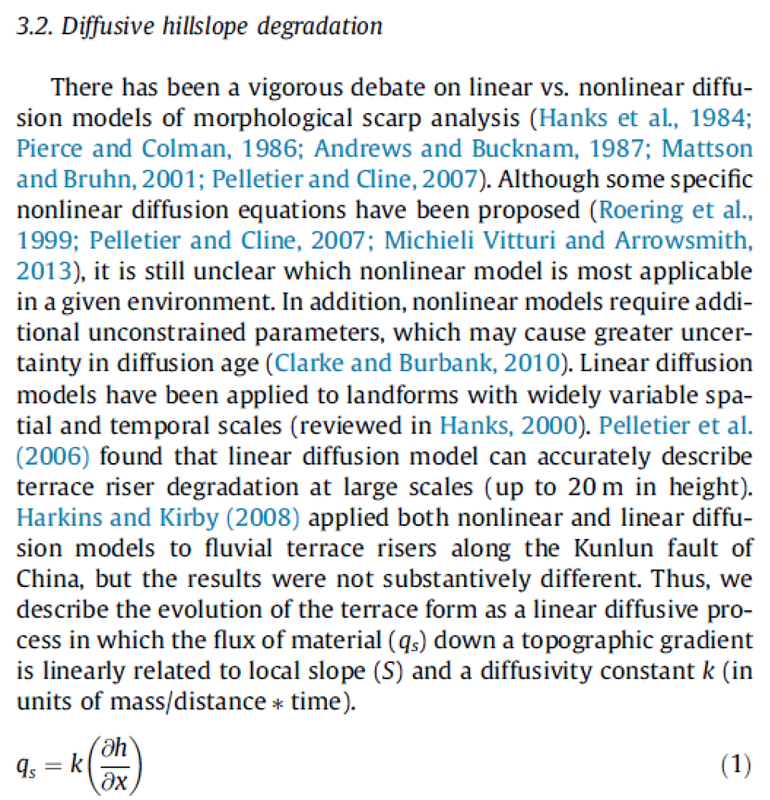 Might be cool to rewrite in Jupyter notebooks, maybe see how much in landlab could be used. Simple MATLAB scripts for diffusion modeling; see also this link. 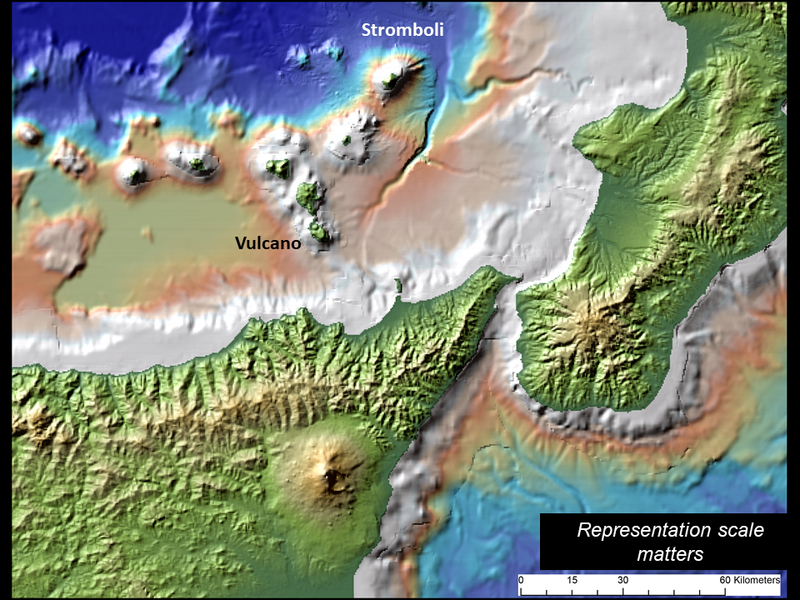 Vulcano and topography and bathymetry of northern Sicily. Note that I demonstrate the very useful geomapapp. 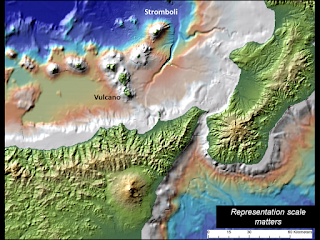 I also demonstrate ArcGIS and show the data and topography from Vulcano. At Vulcano, the students have the opportunity to put into practice their hazard and risk knowledge. 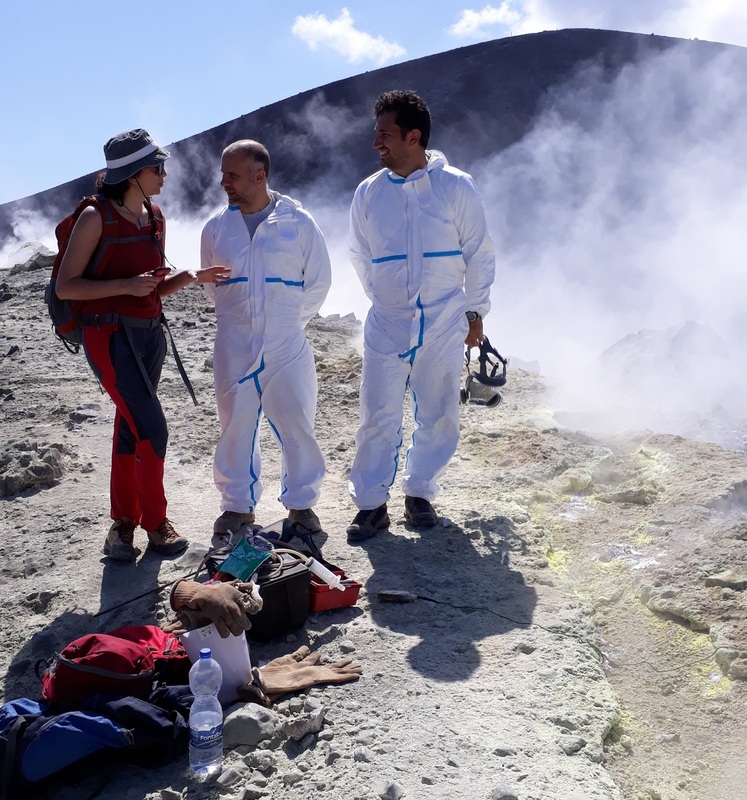 The program starts with a field trip and lectures on the various volcanic hazards (unrest and degassing, single vulcanian, persistant vulcanian, subplinian from the main edifice ("La Fossa") and strombolian and lava flow eruptions from the adjacent "Vulcanello). Then the students work through vulnerability, warning messages, and even have a crisis exercise. They stay busy from 8 am to 10 pm. The studnet have to present almost every night a poster on what they analyzed for that day, with the assembled instructors as audience and evaluators. 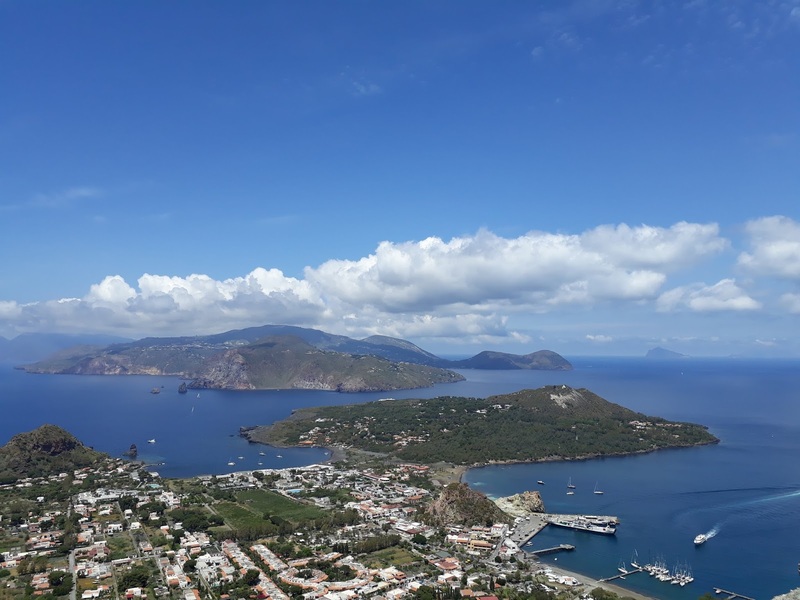 There are also evening lectures including a review of Italian earthquakes with extended lecture on L'Aquila by me and a very nice review of Italian Civil Protection by one of its representatives. And, one of the highlights is a volcano crisis "play" at the local elementary school in which the students have a script and take various roles as community members, media, safety staff, government officials, scientists, etc. to go throught a possible volcanic crisis at Vulcano. It was very cute and a great demosntration of how to engage communities to understand the hazards they face and what to do. 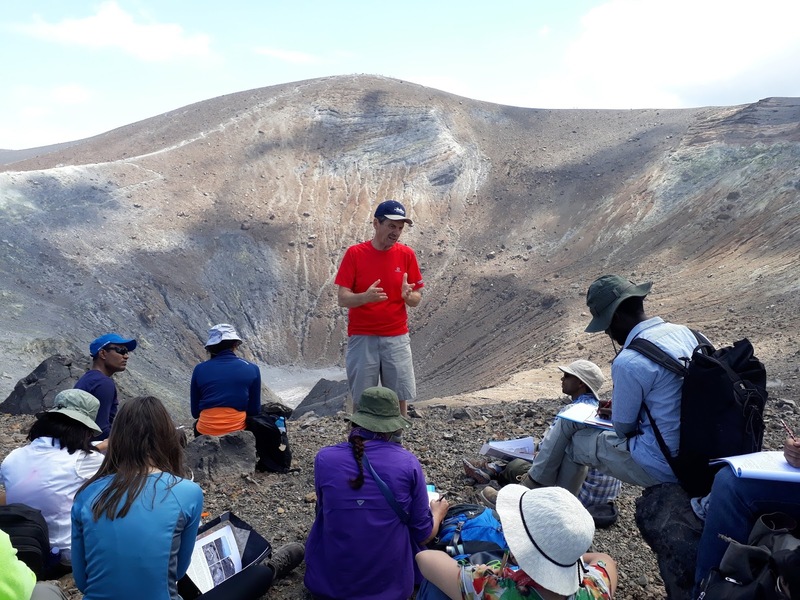 Professor Mauro Rosi from University of Pisa lecturing to the group with La Fossa vent behind. 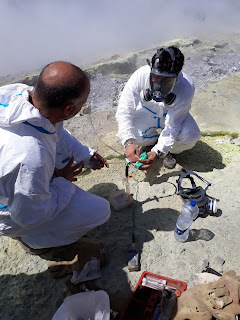 INGV team demonstrating gas sampling from the fumaroles. 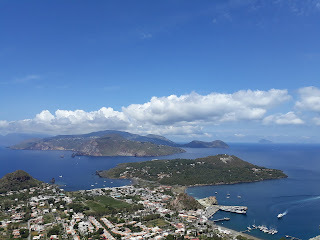 Drone view of La Fossa. We have been pondering how to visualize planes in 3D as a way to assess correlation of beds in an area. 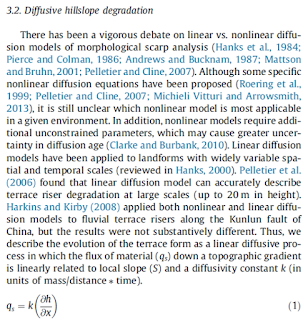 My colleague Chris Campisano and our jointly supervised PhD student Dominique Garello was asking about this for a while. We discussed a few solutions, including the MOVE suite and RIMS among others. I know there is a lot of software out there for this. I decided to tackle it in a very simple way with the constraint that it would only use Excel and ArcGIS (ArcMap and ArcScene). I googled around an there was not an obvious solution already. I wrote a tutorial (link) and the spreadsheet is here. Introduction. 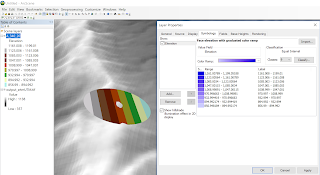 In my last post, I showed how I had extracted frames from satellite-derived video to build a 3D model of a mine from space. In this post, I show a similar workflow for phone camera: take a video of an object (some times a lot easier than numerous frames although lower quality) and make a 3D model using Agisoft Photoscan. This one shows a somewhat complex background, but nicely indicates the path of the camera too.